Possible to "export" MIDI from Lumbeat drum apps (a la Addictive Drums on PC, etc.)? I only have one Lumbeat app, FutureDrummer. I know I haven't tapped it's full potential. But it's also kinda hard to figure out some things and I don't think there's any manuals (a shortcoming of such comparatively expensive apps). I'm considering buying Addictive Drums on my PC because it's easy to export the MIDI patterns - which are more important to me than the drum kits themselves. Is there an easy way to do that with Lumbeat apps, or do I have to record them into an iPhone DAW, then save a MIDI file from the iPhone DAW and then export that to my PC DAW (at which point I'd get Addictive Drums)? I suppose I could use MIDI over wifi straight into my PC DAW, but then I'm dealing with latency correction. I cannot see a way to export a MIDI File from Soft Drummer. So, you need a way to record the MIDI. I then tried to record the MIDI in Xequence Destination, but that did also not work. I have no idea, what I did wrong (tried both Xequence Destination and Soft Drummer as Input). EDIT: Restarting all Apps also got me to record in Xequence, I may have misconfigured something. 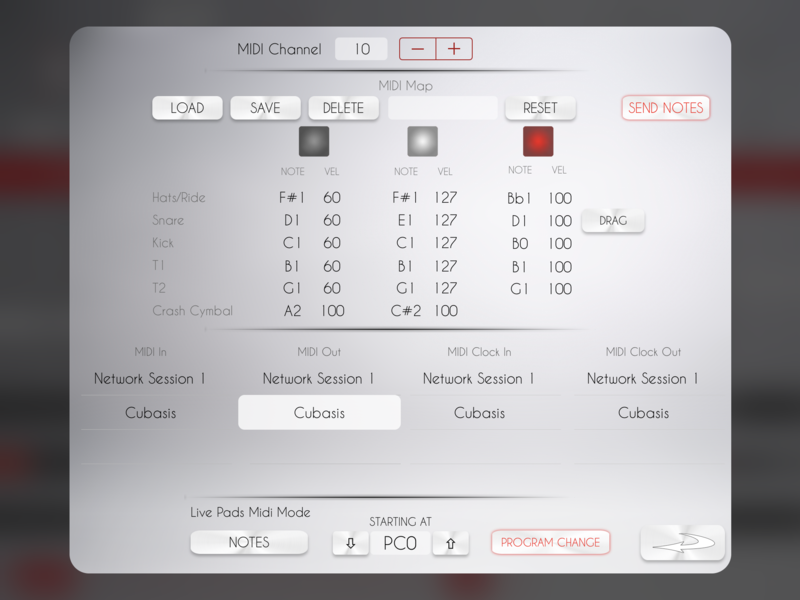 I then tried my old workhorse Cubasis, with Soft Drummer as Input it did not work, but with Virtual MIDI! Don't forget to check "Send Notes". I have Xequence. Also can record MIDI in Gadget I think. 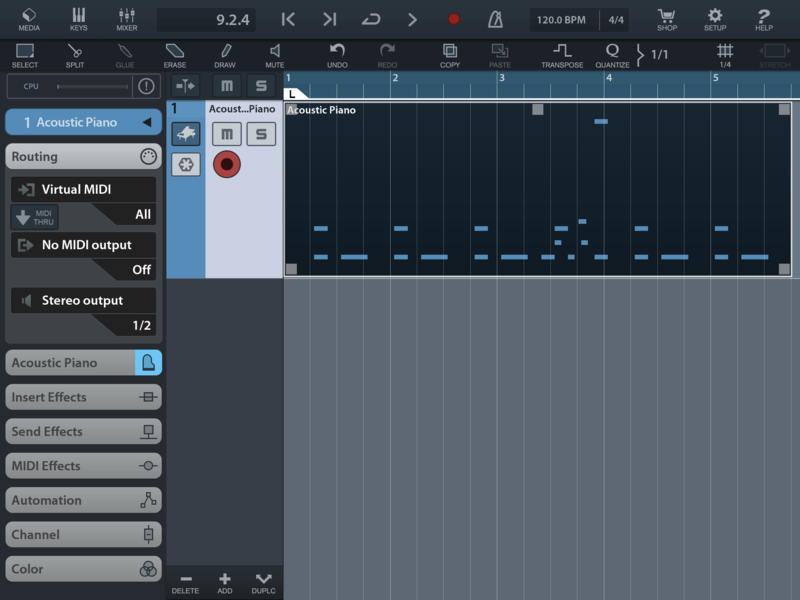 Yep, this topic keeps coming up again and again.. Lumbeats should implement midi export as iBassist has.. But for now, Xequence is the go to and soon Photon.. So Xequence CAN capture the MIDI? Guess I'll have to try tonight. I'll look for the Send Notes button. Yes, I edited my posting above. FD doesn't sync very well, but it is possible to capture. However, it seems just as useful/useless (?) to just use MIDI over WiFi into my DAW. Which tells me that drum machines on iOS still have a ways to go... either FD doesn't have varying velocities or I can't capture it because it doesn't transmit them. So they patterns are well-architected, but still very drum machine sounding (not a bad thing per se). Ah well. Looks like I'll have to keep AD2 on the wish list for the PC. Sync well for me via Ableton link (xequence).. This is a midi file generated from FD and Xequence..
Levels seems to be perfect..